2) It was only one little bitty ball. Have you heard about Gina? Its a great alternative to Noro Kureyon. I’ve been recently made aware that its bad form to compare one product to another in a review. Pffft. No one pays me for these reviews. So instead of talking around in circles I can be nice and direct. Gina is softer than Kureyon. It costs less. It comes in some great colors but… those color don’t quite have the special depth of shade and zing that certain colors in the Noro line have. Yeah, no one does color like Noro. 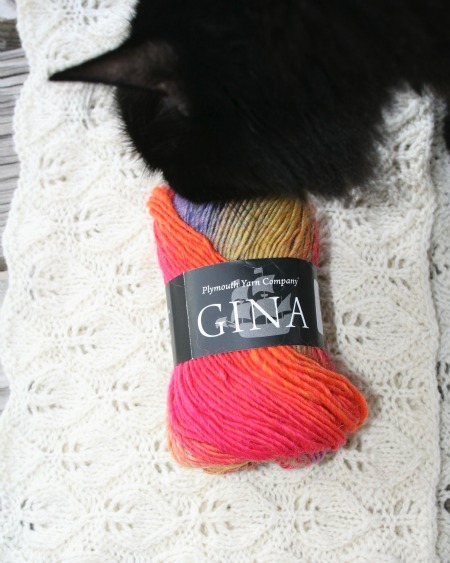 But if you want a long-color-way yarn that you can wear against your skin, Gina is a great choice. 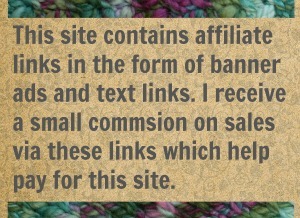 If you’re interested in the technical details of this yarn, here is the Ravelry entry for Gina and here is the entry in Yarnsub. I’d seen it on the shelves and wanted to buy before. But I resisted. Yesterday I gave in. I was at The Sated Sheep dropping off my Trickery and the need to own a ball of this yarn became more than I could withstand. Hey! It was only $6. You can (sometimes) find small batches of it on Amazon for even less. No I don’t know what I’ll make with it. 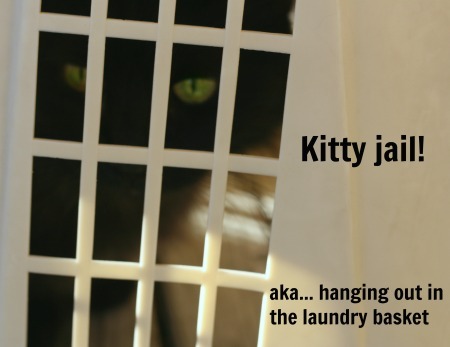 But I promise you it will be inspected and thoroughly tested by the in-house crafter and her Feline Overlord. So far her Overlord-ness seems to like Gina. I’ve had to rescue it twice. Anyone else have experience with this yarn? Jump in and tell us know what you think of it. 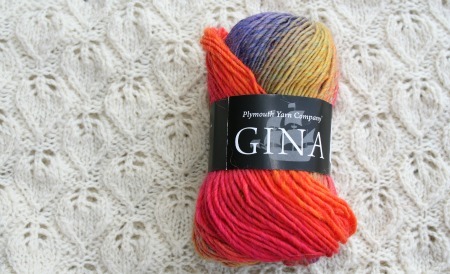 5 Comments on "Gina By Plymouth Yarn – Because I Had to"
Thank you very much your fantastic, beautiful things! I like them, most the bags! I love to colors and the price. Remember when it comes to yarn there is always room for more. I have two balls of this; I use it for an example in my entrelac class. And last weekend I liked my sample so much I decided that I’m going to actually finish it! 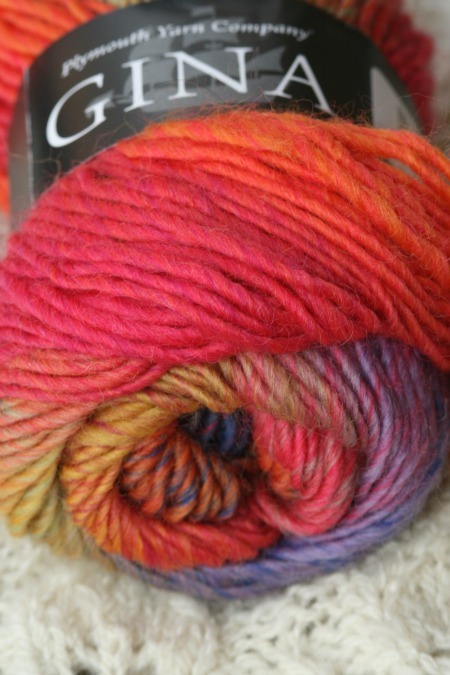 Softer and less expensive than Noro, which makes it great for teaching yarn. Not as soft as Crystal Palace Mochi Plus, but it holds together a bit better, so less frustrating for students. (Egads, I just mentioned yet another yarn in this review! Wait, I’m going for it….) Knit Picks Chroma Worsted is soft like the Mochi, too. Definitely room for all of them! Oh yes that Chroma is nice stuff. Thanks for the reminder. lol I’ve been meaning to order some of that.